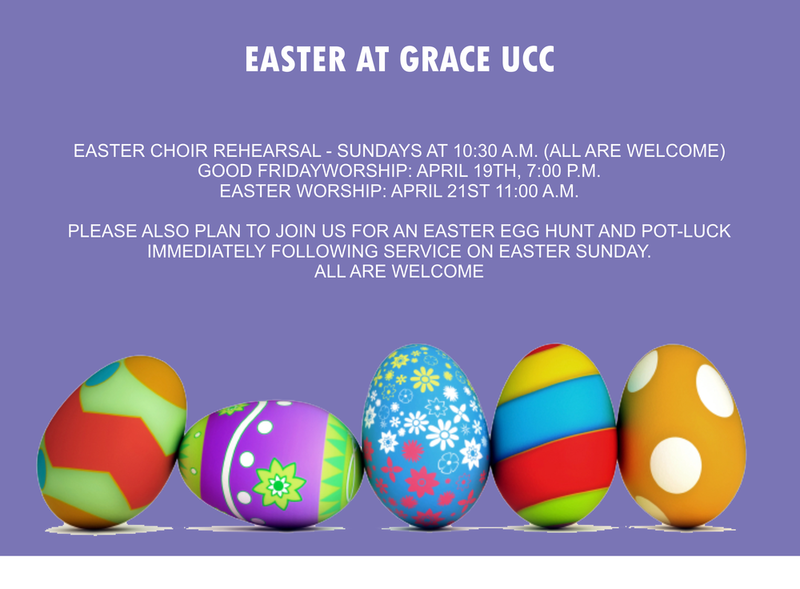 Would you like to sing in the Grace UCC Chorus on Easter Sunday? If so, Music Director Shelly Tapp invites you to come to practice at 10:30 on the four Sundays prior to Easter. All are welcome. Being more humble, relying more on others. Painting more; reading and writing more. Listening to others more intently. Visit the Grace UCC facebook page to share what you’ll be working on this Lent.